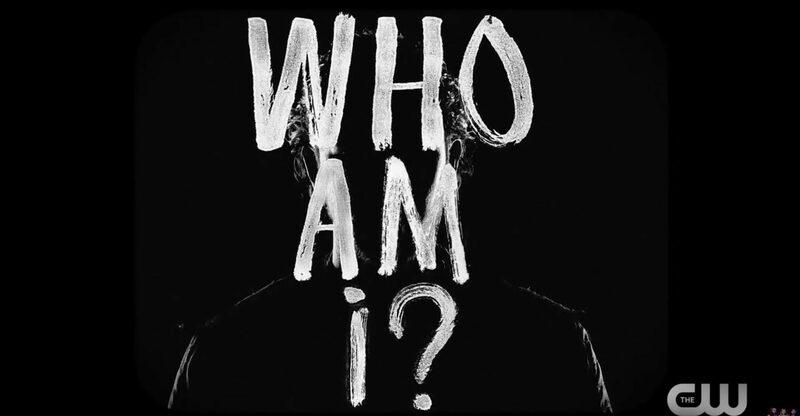 The trailer opens with the characters stating their “Who Am I’s, with determined, yet guilt-ridden expressions as they reflect on what has happened thus far in the post-apocalyptic series, and what is to come. Shot in a glorious, haunting black and white, with just a splash of blood-red, the promotional piece is nostalgic of golden era Hollywood horror films-and I have found that to match The 100′s dark and riveting theme, and I love it. Actually, I enjoy horror films, but I digress. It piques the mind right on the spot, offers a very promising storyline with no spoilers, and gives us the “bite” of the characters’ presentation. Octavia sits on an iron throne with blood-red paint banded across her forehead, taking her new leadership role very seriously, and she will possibly end anyone who dares question her authority and staggers off her path. Raven is mentally losing it as she is screaming at a Victorian-era phone. Just who is she screaming at-and why? Perhaps, the connection crackled and the communication between her and the party became lost. Or the phone does not work at all, and whatever hope that she had to communicate outside the Ring to the outside world is shattered. Bellamy is alarming quiet and subdued-something that terrifies the majority of viewers. We all know Bellamy has met his own demons, and that they will psychologically stay with you- depending on what they are and how you coped with them. But now, not only is Bellamy dealing with the madness, but he has to deal with his sister’s as well. This will be a difficult and emotional season for the Blakes and how they will deal with Octavia’s choices will be one of the prime narratives for season 5. Last, but not least is Clarke, who will have the greatest weight on her shoulders as she has to protect Madi-her adopted daughter and will most likely kill anyone who poses any threat to her. Also, she pours the question, “What becomes of the commander of death when there is no one else to kill?” This question is implicating that Clarke is going to debate on whether or not to end Elegius-the faction of prisoners who were in hyper-sleep, led by Charmaine Diyoza. It will be a very personal battle as the three groups fight over Eden, the last survivable piece of land on earth. To clarify this point, serpents, animals in cages (and Octavia), and a red rose being drenched in black smoky ink, as well as an antique globe are presented through the promotion. Thus, creating a stronger and darker element and elaborating on just how “dark” and “raw” The 100 can be. Another crucial affirmation is the line, “On the ground, kill or be killed,” Which is a very proving statement. Closing the trailer, Bellamy, Clarke, and Octavia fade into one another, with Bellamy in a foreboding tone, “Life. Death. You choose.” I am assuming that there will be a tangle of these three characters, as they will have conflicting views on leadership and how they will act on the decisions they will make. On this show, each choice is made completely from a survivor’s standpoint, but not everyone will agree or follow their actions and answers. There are many who are speculating that Octavia will be one of the “fallen” in season five as it has been told and confirmed that Octavia will journey down a dark and twisted path. Her actions will lead to her death, and it will her big brother who will do the unfathomable. And if I have to guess, his last words will be to her, “My sister, my responsibility.” But maybe that won’t happen-at least, I hope not, but I am trying to interpret this in a narrative/realistic observation. The 100 is not shy of killing off their leads, so we shall see. That is all there is to it. With this new spectacular promotion, the CW has certainly taken it to the next step and gave The 100 the attention that it deserves after a nearly year-long hiatus. Additionally, there will be even more press and material as we close into April 24th, the fifth season premiere. What did you think of this new trailer? Did you like it? Find it interesting? Or did you find it something that is too dark to grasp? Caps of the trailer done by me, feel free to use them! Follow Grounders Source on Facebook and Twitter to keep updated with the latest The 100 news!